Brian G. Nadel is an Independent Consultant for EAS Consulting Group, LLC. He has over twenty-five years of diverse experience in: Pharmaceutical Quality Assurance and Quality Systems; FDA Pre-Approval and Inspection Readiness Inspections; International CGMP Auditing for finished drug products, Active Pharmaceutical Ingredients, Fermentation, Process Validation and botanical extraction. 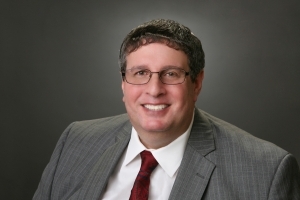 Mr. Nadel utilizes his broad background to assess compliance issues and develop effective, efficient comprehensive systems to ensure CGMP Compliance. He assists pharmaceutical firms in maintaining and developing quality manufacturing operations. He has worked with NDA, ANDA, DMF, BLA and OTC product manufacturers. He has also conducted CGMP training for FDA, Industry and at industry conferences. He has worked to assist clients to comply with the requirements of Consent Decrees. He has used his experience in the pharmaceutical and government regulatory industries to author SOPs in quality and compliance areas. Mr. Nadel has worked as a Senior Consultant for PAREXEL International. Prior to joining PAREXEL, Mr. Nadel was a Senior Director responsible for Supplier Quality, Risk Management and Anti-Counterfeiting, in the Corporate Quality and Compliance department at Sanofi’s US headquarters in Bridgewater, NJ. Before that, he was the Senior Manager at Forest Laboratories in NY and NJ responsible for Pre-Approval Inspection Readiness and Internal and External audits. At Forest Laboratories, he managed teams that were responsible for receiving first-pass approvals of two blockbuster NDA drug products. He started his career as a Drug Specialist Investigator in FDA’s New York District Office. He was then promoted to the FDA’s Center for Drug Evaluation and Research (CDER) in Rockville, MD, where he served as a Compliance Officer in the Office of Compliance of Compliance, Division of Manufacturing and Product Quality. At CDER, his main responsibility was reviewing recommendations from the district offices for regulatory actions such as Warning Letters, Seizures, Consent Decrees and Injunctions. Mr. Nadel holds a BA in Microbiology and Parasitology from the State University of New York at Albany, NY and is a certified Regulatory Affairs Professional. He is a member of the Parenteral Drug Association and the Regulatory Affairs Professional Society. Mr. Nadel has spoken at many industry conferences, including three conferences in India in 2017.